United States urges Cuba to allow imprisoned contractor to travel home to attend his mother's funeral as a humanitarian gesture. 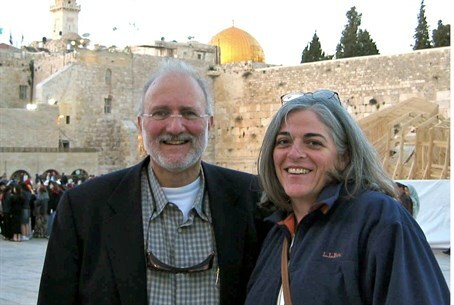 The United States called on Cuba on Wednesday to allow imprisoned contractor Alan Gross to travel home to attend his mother's funeral as a humanitarian gesture, AFP reports. Washington has repeatedly called for his release, and on Wednesday State Department spokeswoman Jen Psaki offered "our deepest and sincerest condolences" following the news that his 92-year-old mother, Evelyn, had died after a long battle with lung cancer. "We obviously feel it is a tragedy that he was unable to be home in the United States at his mother's bedside for her passing," Psaki was quoted by AFP as having told reporters. "We've urged the Cuban government to grant Mr. Gross a humanitarian furlough so that he can travel to the United States and be with his family during this time of mourning." Psaki would not say whether Washington would provide guarantees that Gross would return to Havana to serve the rest of his sentence. Gross's family said the news of his mother's death "is a devastating blow for Alan and our family." "I am extremely worried that now Alan will give up all hope of ever coming home and do something drastic," his wife Judy said in a statement. "Surely, there must be something President (Barack) Obama can do to secure Alan's immediate release," she added. The family said Cuban officials had refused to give Gross a chance to visit his mother while she was still alive, despite repeated pleas after she was diagnosed with cancer. Gross ended an eight-day hunger strike on April 11 to press for his release from prison. That hunger strike ended after a telephone conversation with his mother. Gross's family and US officials have also raised concerns about his own health. He was arrested in 2009 and is said to have lost more than 100 pounds (45 kilos) in weight. He suffers from chronic pain and the family are concerned that he is losing his will to live.